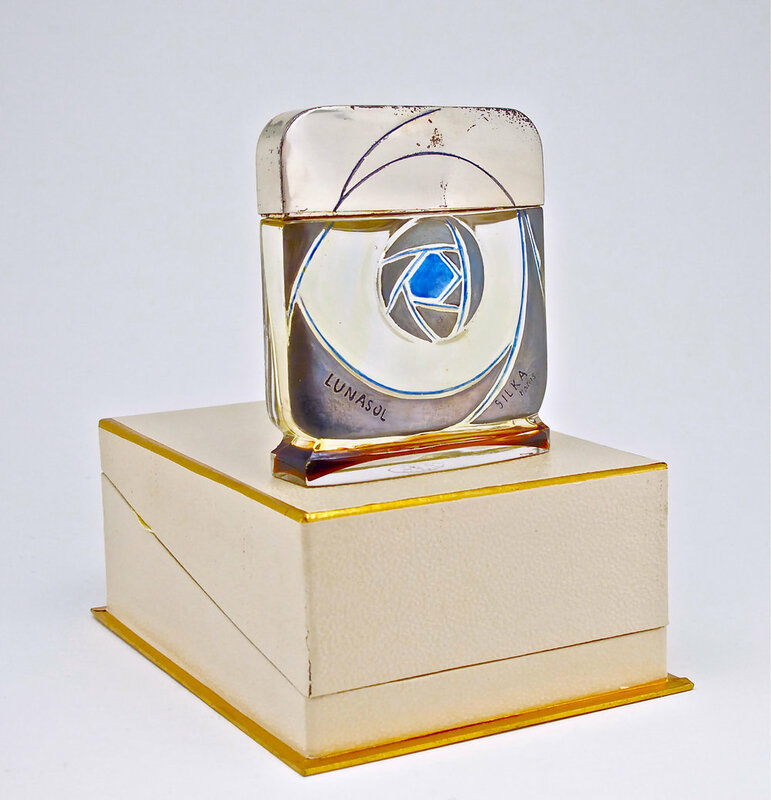 On Friday, May 4th, 2012, the Perfume Bottles Auction, in conjunction with the International Perfume Bottle Association, hit a new high at their 24th annual convention in Jacksonville, FL. Prominent among the property offered from estates and private collections, were items once belonging to Maharajadhiraja Raj Rajeshwar Sawai Shri Sir Tukojirao III Holkar XIII Bahadur, the last Maharaja of Indore. 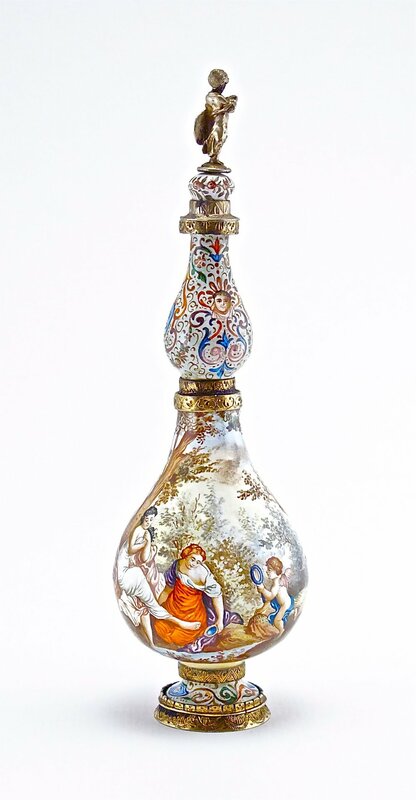 18th and 19th century vinaigrettes and scent bottles of porcelain, silver, and gold generated competition from over 200 bidders in the room - against phone, order, and Internet buyers. 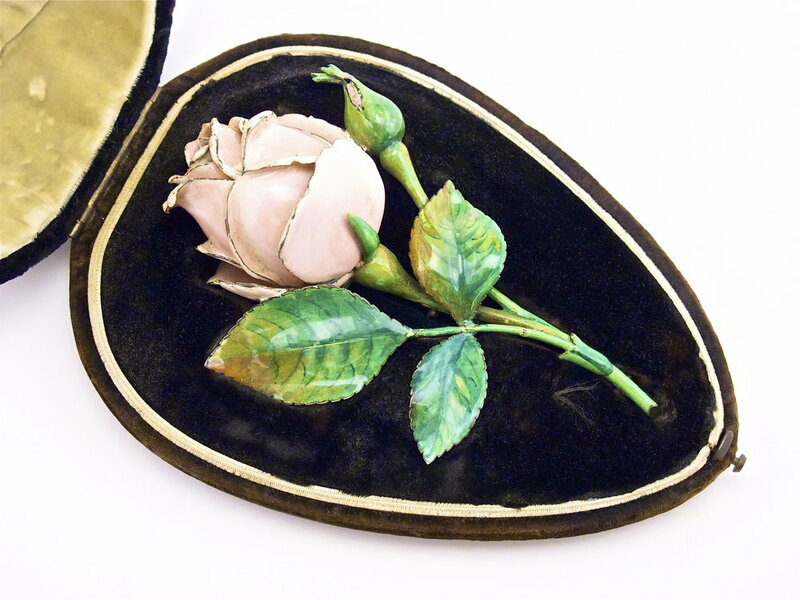 Prices continued strong on assorted powder boxes, compacts, art deco DeVilbiss and figural porcelain atomizers, as well as a colorful variety of vintage Czechoslovakian crystal items. 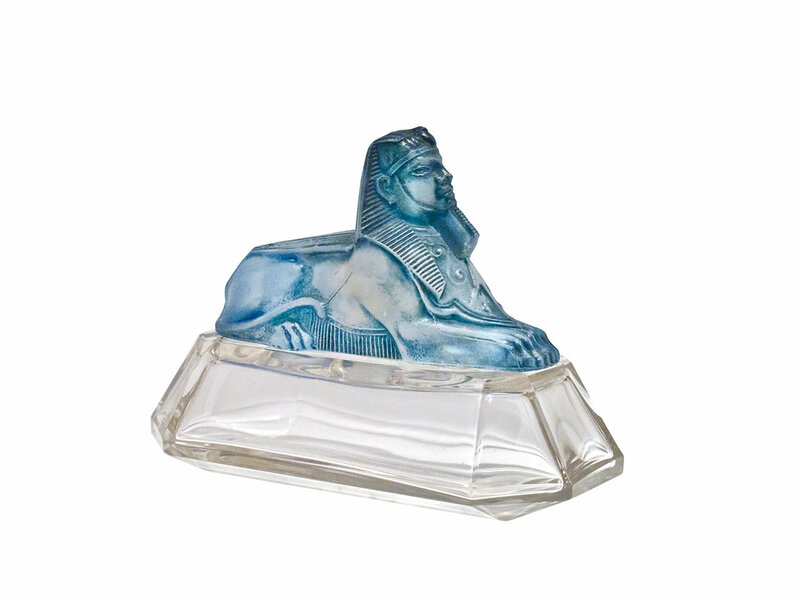 Highest prices were achieved by a varied selection of commercial perfume bottles-many in original boxes-including early designs by Rene Lalique, Julian Viard, Baccarat and other noted glassmakers. 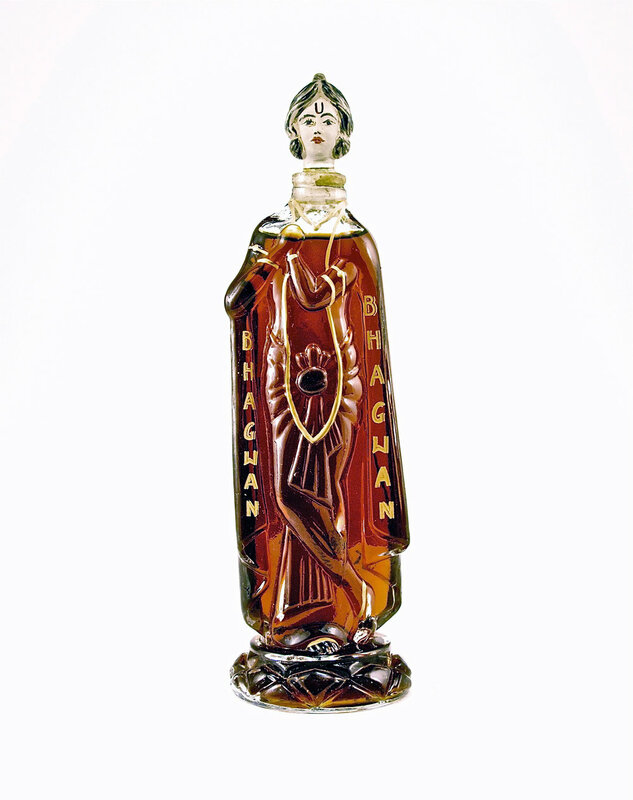 The star of the evening at $63,000 was the 1929 figural bottle “Bhagwan” for Patanwalla, previously known only from a drawing in the Baccarat archives. 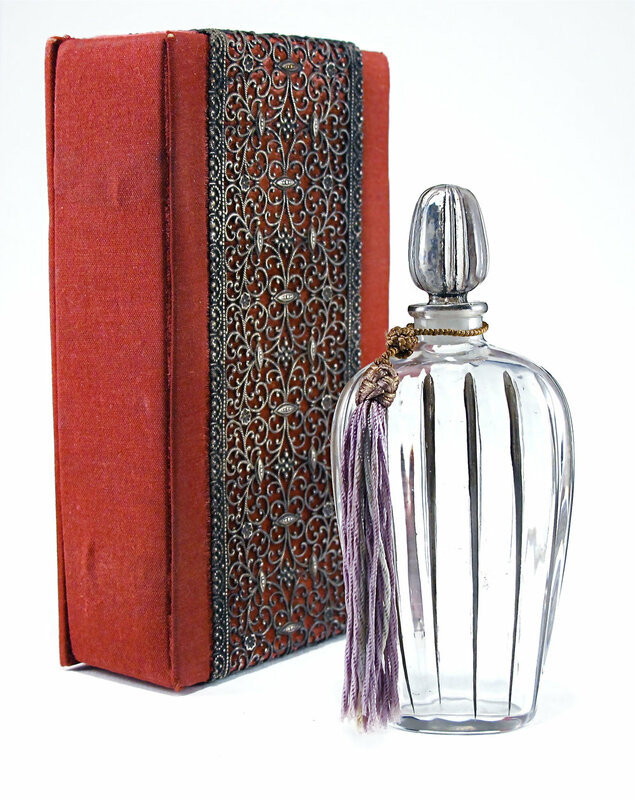 The extremely rare crystal bottle represents an Indian deity with enameled details, standing in its original presentation case.